PETER BRÖTZMANN – KEIJI HAINO – HEATHER LEIGH – SOLD OUT ! At the Summer Bummer Festival in 2017 legendary reed player and free jazz pioneer Peter Brötzmann (tenor sax, tarogato) and pedal steel player Heather Leigh in the good company of trumpet player Toshinori Kondo played one of the most anticipated and sensational concerts of the festival. The equally legendary Japanese guitar player and musical shaman Keiji Haino in his turn surprised earlier in 2016 by selling out DE Studio with Teun Verbruggen and Jozef Dumoulin. 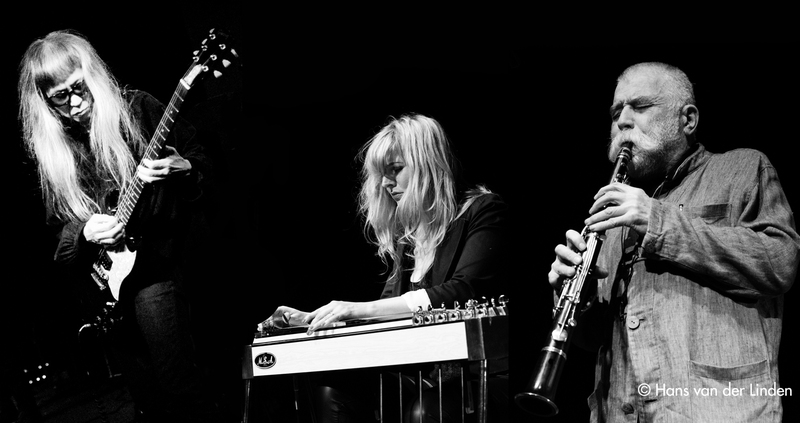 After a solid winter stopover duo tour in New Zealand Peter Brötzmann and Heather Leigh now for the first time will be joined by Keiji Haino for a challenging European tour. After a two show residency at London’s Café OTO this stellar trio will stop at DE Studio for an exclusive show in the Oorstof series.